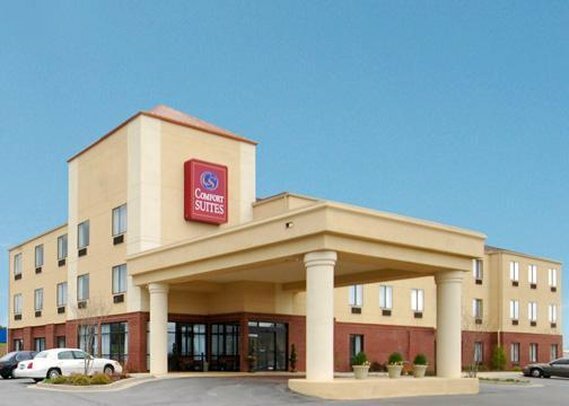 Check Rates & Availability at Comfort Suites Oxford! Our smoke-free Comfort Suites hotel in Oxford, AL gives you the extra space you need with the extras you want. Situated between the Anniston Army Depot and Fort McClellan, this all-suites hotel is also just minutes from Talladega Superspeedway. We offer amenities to keep your workday on track, with meeting space and a business center. Additional amenities include free hot breakfast, a fitness room and laundry facilities. Our spacious suites feature refrigerators, microwaves, coffee makers, irons, ironing boards, hair dryers, TVs, sofa-sleepers and convenient AC and USB outlets. Also, earn rewards including free nights and gift cards with our Choice Privileges Rewards program.